For the other part of Kagero’s miniTopcolors release this month is the German’s turn – the great aircraft of the Luftwaffe at the part of the Battle of Britain are covered here in reference and decal for – have they run out of ideas on this the third part of the Luftwaffe B.O.B. trilogy? Chief amongst these were the sixteen squadrons of Polish pilots who fought from their own territory through the Battle of Britain to the invasion of Europe by the Allies and War’s end in that theatre in 1945. 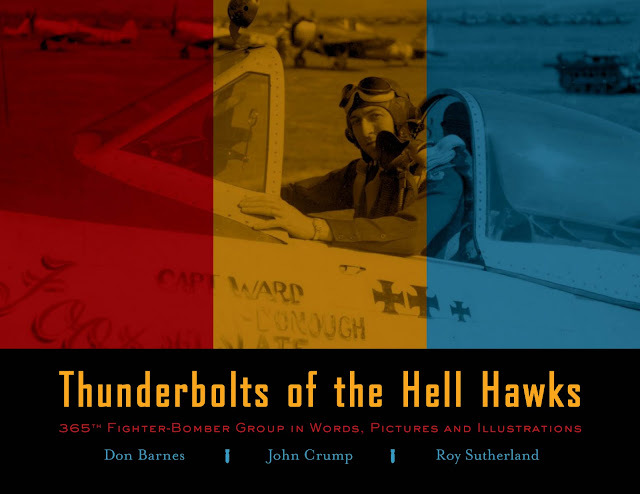 Kagero have released a book and decal special to show some of these pilot’s aircraft and hopefully have you making some of these aircraft up with their schemes on your latest spitfire kit - let’s look at the Book/Decal combo in action. 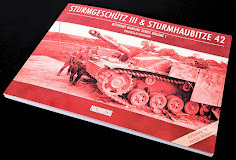 Review - L.Z.Models 1/35 German Bergepanzer 38(t) Hetzer – Late version conversion set. Whew! 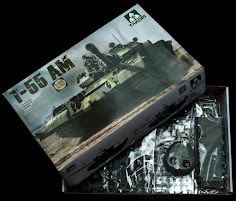 It has been a week and ten parts of galleries since returning from Telford and here is the last in the pictures of wonderful kits from all of the entrants the competition and the special interest groups – it was great to see everything and I hope it’s inspired you all to get model building rather than stash building! The GMF guys ( and ladies) are always nice to speak to at the show! 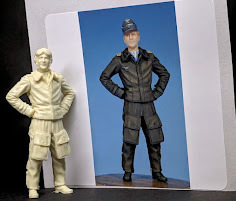 Grey Matter Figures have taken on the moulds from the talented Mr Jerry Rutman's 1/32 HS 129 full kit and now have to get the decals, brass etc. 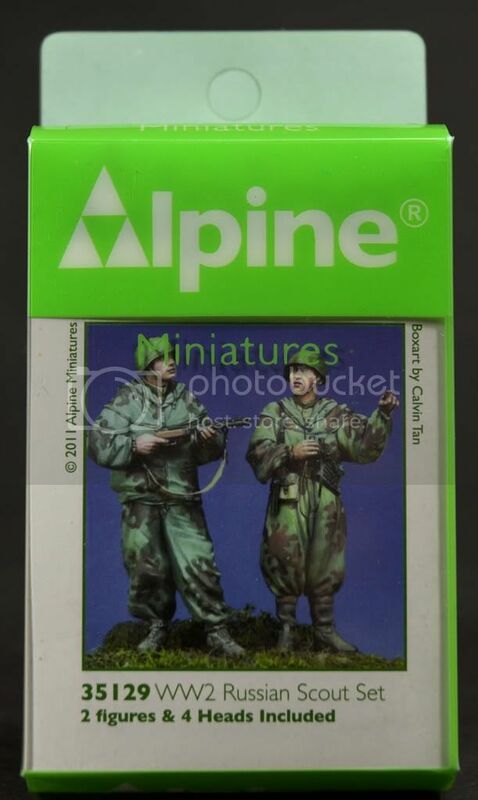 This kit was good on initial release and GMF have promised to release as many as will sill to the public. 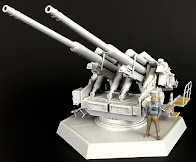 If you are after one of these beauties in 1/32 resin please do send an email to them at this email address and you will be given priority with shipping when the kit goes on sale – this is not a commitment to buy just of intent so they know how many to make. 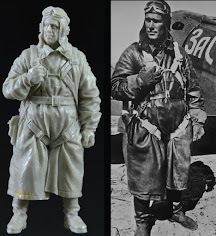 Please email mailto:tim@greymatterfigures.com with “HS129 interest” in the title. If you want to get one! Last of the competition kits with the grand prize winner and some of the best kits form the show in this gallery – back to normal news tomorrow please do enjoy this - the last bunch! Thanks for tuning in to them, back to normal programming tomorrow. IPMS Telford Scale Model World 2011 Part IX – BarracudaCals visits and the penultimate gallery of contestants. 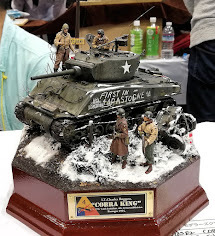 Getting ready to hop back into reality but two excellent galleries of show contestants to give you first – these are some of the top prize winners from Telford Scale Model World – I hope you like looking at them as much as I did! On to the penultimate gallery now – Over 100 more pictures to add to the haul – and most of them in focus! 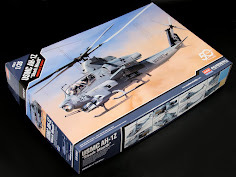 Check out these amazing aircraft and vehicle models and do drop in tomorrow for the tenth and final part as well - you weren’t doing anything else were you?? IPMS Telford Scale Model World 2011 Part VIII – Eileen’s Emporium & the Last of the SIG and Model Club aircraft. 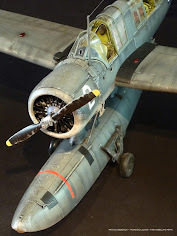 Well we are at part eight out of ten of the Telford Scale Model world galleries and I for one am amazed at the great models on show – these are the last of the bunch from the special interest groups and the various model clubs that attended. Before this gallery I thought I’d introduce you to the girls from Eileen’s Emporium (– neither of these ladies being Eileen herself) This shop is one of those places you wish you had in your town – they sell every type of glue, cutting tool, plastic strip, airbrush, vice, surface preparation, decal solution, paint brush - well you know what I mean – they have everything! Situated near the Airbrushes.com stand these guys were going gangbusters selling people those little things which the high street model shops just don’t stock – all of the little things you have to get from overseas or some random mail order place they seemed to stock – I am a fan anyway! This is their homepage if you need a supplier in England especially for your modelling sundries. Now for the second last of the galleries before regular scheduling of news and reviews resumes Monday. Deluxe Materials are often at the shows around the UK – I went in to investigate and it is like going into a wonderland of slick demonstration as the guys there show you how to use their amazing range of products – it all looks too easy as they show you how their special plastic glue runs circles around anything I have tried before – they have three different superglues of different viscosity and a plethora of ways of applying them – special canopy glues – powder filler you simply apply to a gap then solidify with the super thin superglue with the tiny tip – it’s all amazing stuff! Deluxe have adhesives and solutions for not just plastic scale modelling, they also have solutions for any for your woodwork, R.C. 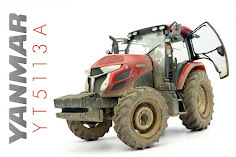 vehicles, Balsa and foam modelling, boat and Railway enthusiasts. Their video page is a wonder to behold to see their products in action. Really this puts my old (I thought pretty neat at the time) Revell Contacta firmly in the corner! From lead weighted tiny balls to non-toxic glue for kids – water soluble putty the list goes on as to what they have in store. Deluxe also do Scenic materials like snow – rust and water, and if at a show they go out of their way to show you how good their stuff is. Give their page a workout and if you see them at the shows go and have a look – I was amazed at what was there. OK on to the competition winners and nearly winners now – a great bunch of over 100 pictures again please enjoy – and stay tuned over the next few days for the last parts of the Telford show’s people and plastic on offer..
Part six of this special on Telford brings over 90 new pictures of the event from all of the special interest groups attending, mostly aircraft this time there were some amazing models on show that were just as good as some of the competition winners – why they didn’t make the leap to the table I don’t know but there were some amazing works of art in the large rear halls! While in the rear hall it was nice to see the guys from Kitsworld Decals – They make lots of special sheets for all of the more colourful aircraft out there – these really caught the eye of many of the visitors to the show with sales being good – An English company, Kitsworld chooses from the massive range of some of the more "less publicised" nose art and makes these the focus of their releases rather than adding all of the markings and data sheets – they give you everything you need to add to the already supplied kit markings to make the model you want to . 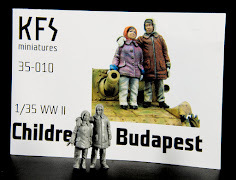 Click on the link here to see the future releases from Kitsworld – From 72nd to 32nd they have modellers covered with already released and some as yet to be released kits in their range. For something different than what you are used to I would have a look at what they have to offer. IPMS Telford Scale Model World 2011 Part V - Progressive Engineering’s products + assorted kits of every kind! Here we are with the 5th part of the massive haul of pics I took form the Telford Scale Model World over the weekend – there are more to come – in the “regular” categories or aircraft and armour – but today I thought I’d put in all of the kits which aren't as predominant at this show – space and fantasy kits – figures and what ifs – were all just as lovingly made by their makers as any other kit, we thought it a good time to show you some. I was surprised to see some of the innovations these guys have come up with – Being modellers they have included the handiest of touches that we the buying public want – from extra holes for paintbrushes and thinning receptacles to holes in the rear to push out the tile you are working away on the attention to detail is easy to see, the guys at progressive like a challenge – so just check out their site to see what is on offer or indeed what they can make! 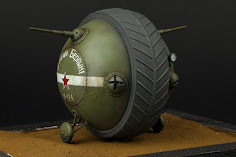 On now to the real "mixed grille" section of the gallery – Figures, fantasy and feats of imagination - more to come all week before we return to modelling news and reviews – but enjoy the work of these great modellers today and for the rest of the week. For the fourth part of the “oww my goodness not more pictures” gallery from Telford Scale Model World 2011 we have lots of assorted aircraft from the Judging tables. We have winners and runners up – commended and runners up to the runners up as well – a bunch of winners all!! 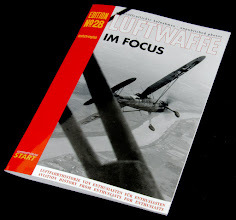 AIMS ( Aircraft in Miniature Series) started in February 2003 and have concentrated mainly on Ju 88 projects and their variants. 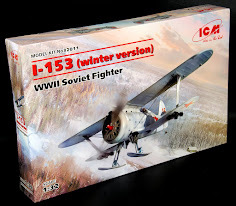 AIMS’s author John McIllmurray has branched out into many other subjects like the sister models of the ’88 like the larger Ju 188 and soon the Ju 388 to come – to add-ons for the He-111, the Do 24 seaplane and many of the Mistell projects. John is himself a mod...eller (he loves scooters!) and so it is hoped you will see the tell-tale signs of the enthusiast in the various AIMS products available. 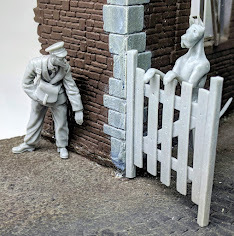 Have a look at a few of his excellent conversions in 1/32 scale and check out his store if you will – lots of amazing great quality stuff therein lie! Let’s get onto the gallery of 75-odd pics for today - and be sure to keep on coming back every day for more galleries this week! 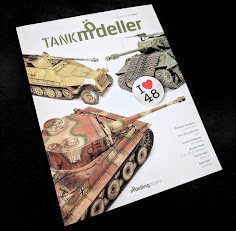 Well the third part of the Telford gallery is here and this instalment is all about the special interest groups’ armour kits – we have a bunch of pictures here from some very talented modellers and pretty much what they have been doing for the last few months is evident here! Dental plaster is an extremely durable material. It can be drilled, filed and carved with a variety of tools. There is no need to prime the kit before painting. You can use both enamel and acrylic paint on the castings straight out of the box. 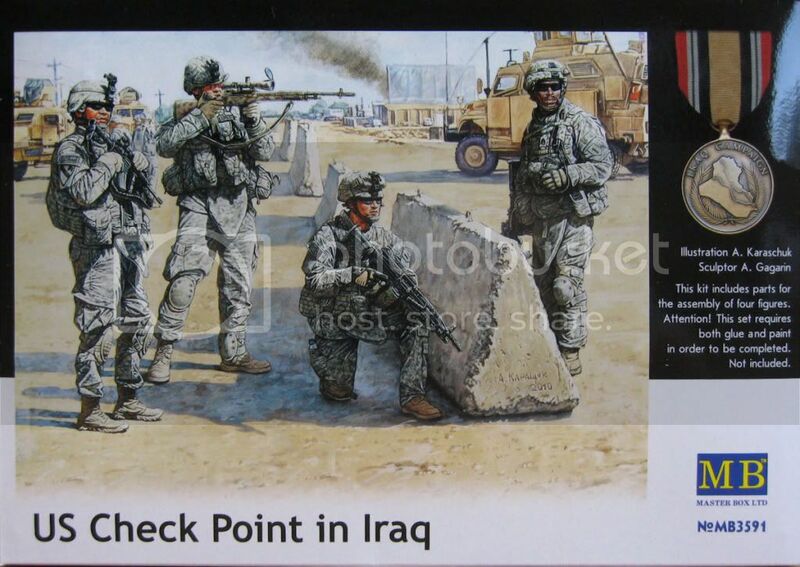 If these bases DID break – well the good thing is they do not crumble – I have known Simon for a while and all of the show floor dioramas he has here have been travelling around the county for a long long time – so it’s a durable and not to mention high quality diorama alternative to vac form or resin. This bunker has been around the country many times!! still looks great though. Simon’s store is on line so check it out for some of the great kits he has to slap under your new tank – here are a few of his bases which would not have looked out of place on the judging tables… After Simon’s work well go straight into the Armour and military from the special interest groups which had amazing work – Competition Military entries will be later this week as well in another gallery( amongst the many i have taken far too many pics!). The second part of our Telford odyssey is here with larger scale aircraft kits to satisfy all of you people with poor eyesight and shakey hands (like myself). Before the gallery I thought I'd mention amongst the many special people at the show and a notable person In attendance was the owner of Eclipse Model Design Mr Derek Bradshaw. 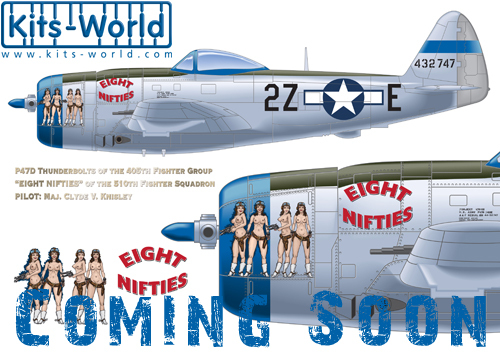 If you need some new Spitfire, P-40 upgrades in 1/32 you could get some excellent parts at his store. Derek’s Eclipse brand has many aircraft modifications and upgrades on his site for your perusal – the kits Derek seems to improve are of the larger scale in nature (think about a P-61 in 1/32 scale) – so I thought that it’s good to preview some of the larger scale kits I am sure Derek would like! 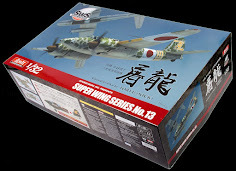 There were many of the expected Ar-196 floatplanes and twin engined He-111's from Revell as well as the new P-51D mustangs from Tamiya and the Zoukei-Mura Skyraiders on show. There really is a massive market building up for the large scale lovers - I for one am pretty happy about that.